There are few works of some authors that will surprise even the best of that author’s fans. Not many could believe Rowling wrote The Casual Vacancy. 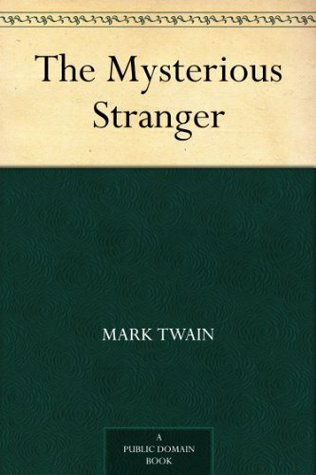 This short novella by Mark Twain is another. At first read, I couldn’t quite understand how the author who wrote Tom Sawyer and Huckleberry Finn could write such a tale. The novella is considered as his last work, to an extent that parts of it are not even Twain’s. The story deals with humanity as a whole, and goes into an exploration of religion, moral sense etc. It is satirical, and with small events, shows aspects of society we are accustomed to seeing. It is a discussion between “Satan” and the narrator. The concept of Satan itself is well dealt with and his character, intriguing. It made me wonder how Satan could befriend the three boys, and the narrator Theodor in particular. But I guess, if Satan can appear anywhere and know every thought, then it’s quite easy for him to control people too. The story goes quickly. It would appeal to certain readers more than it did to me. I chose the book only because of the author. Though it did not have that essence of Mark Twain’s style that I had hoped for, it was worth exploring. On the whole, I rate it 3 stars.